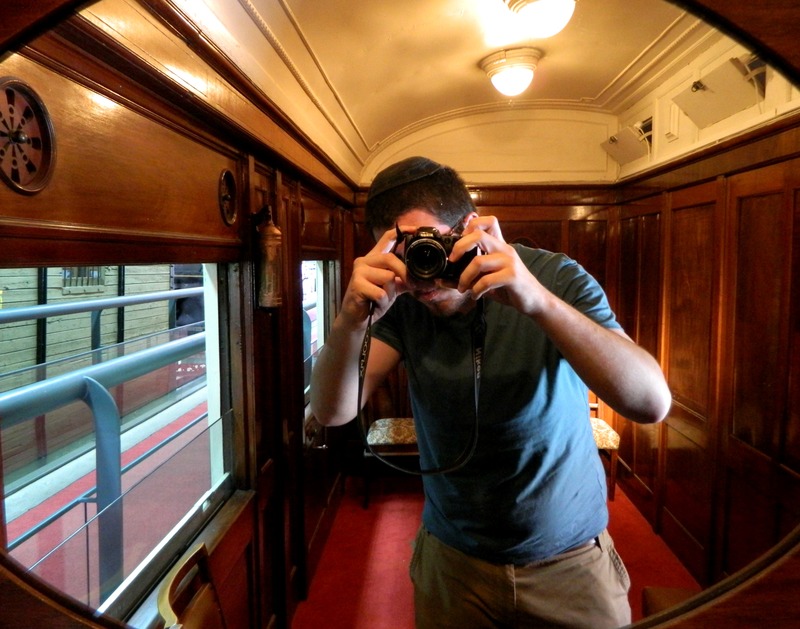 To celebrate my two-year anniversary with the IDF, and because I had a convenient ride, I took a little trip to the Israel Railway Museum in downtown Haifa. Having been on my to-see list for several years now, the train museum was even more interesting than I had imagined it would be. 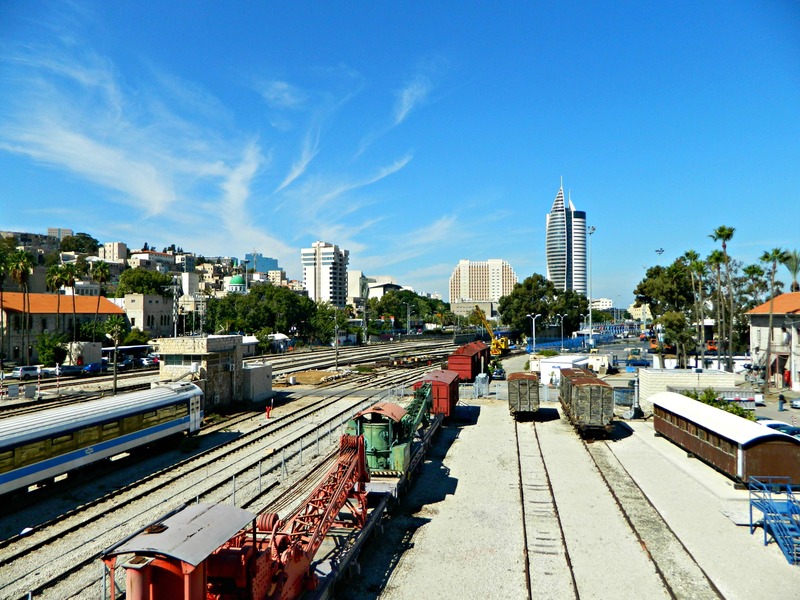 Located at the old railway station of Haifa East, the museum incorporates both the remains of the Ottoman train station that was built as an important rail hub in the Holy Land and remnants of the local train history leading up to today. 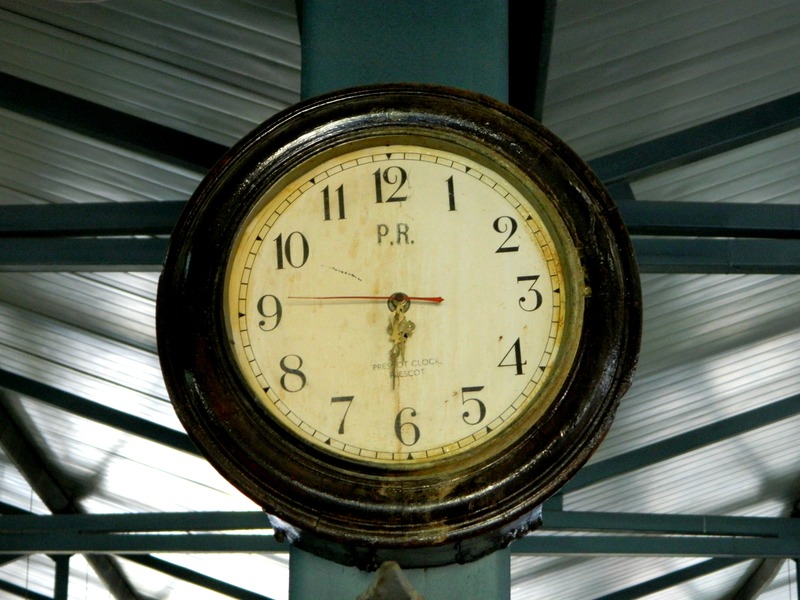 The first local train line opened up by the Ottomans between Jerusalem and Jaffa in 1892. 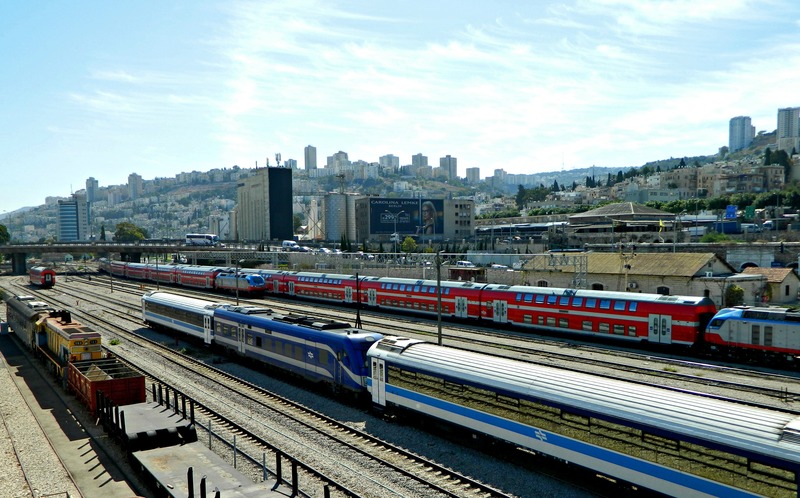 Throughout the next few decades, the trains began to criss-cross the country and offered transportation to cities such as Damascus in Syria, Amman in Jordan and El Qantara in Egypt. At the time, the Hedjaz Railway ran pilgrims making hajj from throughout the Ottoman Empire to Islam’s holy cities Mecca and Medina in the Hedjaz region of today’s Saudi Arabia. 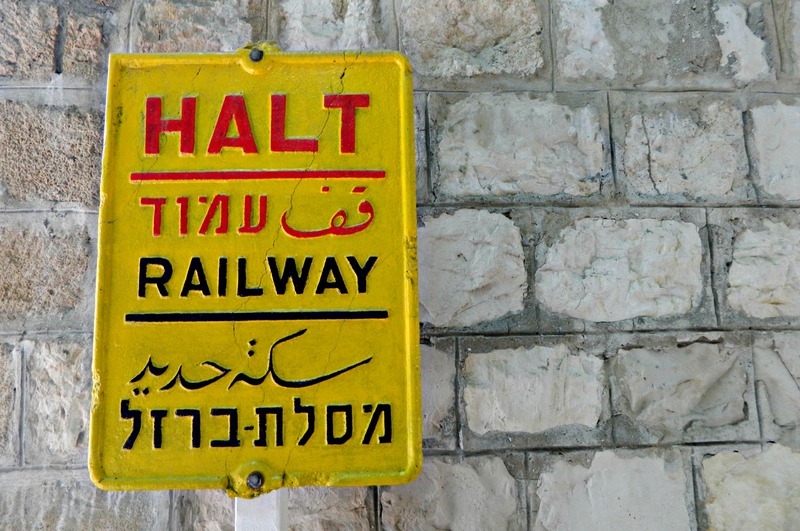 Haifa East was a station for the Jezreel Valley branch of the Hedjaz Railway, most of those tracks now lost to history. During World War I, the tracks were used by both sides: the Germans and Turkish to move troops and supplies and then at the end of the war by the British to ferry injured soldiers as the Germans and Turkish were expelled. Interestingly enough, the British actually bombed the Afula station which headed for Transjordan – which brings to mind The Train. After the Great War, the British ran Palestine Railways and luxury coaches were added to the standard passenger and freight trains. In the 1930’s, during the time of “The Disturbances”, Arabs would sabotage the trains and train-tracks in protest of both the Jews and the British. Rolling concrete bunkers were used to patrol and protect the tracks, the British soldiers armed with guns and ready for trouble. After World War II, when the Jews struggled for independence the British trains became targets as both military sabotage and then, with the British leaving, to prevent the neighbouring Arab armies from invading Israel via rail (such as the bridge near Achziv). The trains were also used by the British to transport Jewish refugees from the ports and beaches where they landed from sea to the Atlit “Illegal” Immigration Camp. Once independence was established, the train lines were restricted to just safe Israeli stations and as the fledgling country developed and grew, Israel Railways incorporated captured and purchased train cars and engines. Today the trains are a crucial part of public transportation and I myself have ridden the train to all ends, north and south. With the Holy Land’s train history covered, I shall now describe my visit. Paying the discounted soldier’s entrance fee, I was immediately directed to Coach no. 688, a British-built passenger car from 1970, where a short film was to be played. 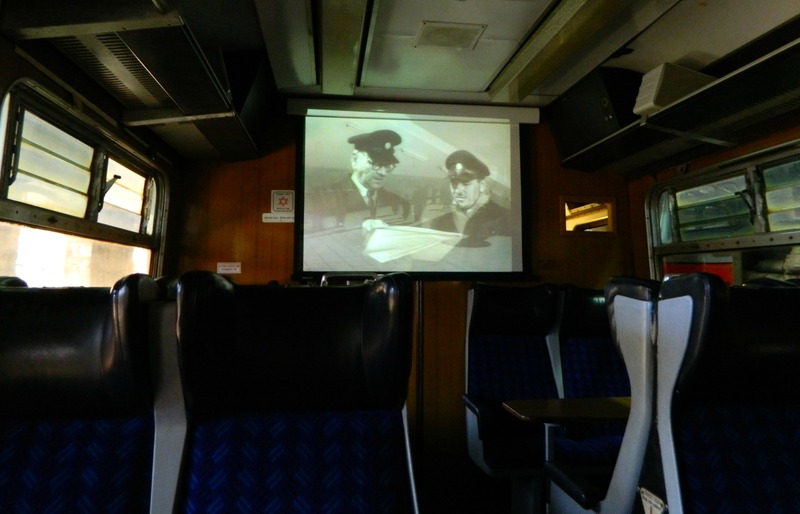 Sitting down in a normal coach, I watched a old black-and-white film about the transition from steam locomotives to diesel engines – interesting. Disembarking, I began my self-guided tour of the various train cars and engines, including a 1902 Class 0-6-0 locomotive from Krauss, Germany and an 1893 passenger coach built by Baume et Marpent in Belgium and used by the British in WWI to evacuate wounded soldiers to Egypt. 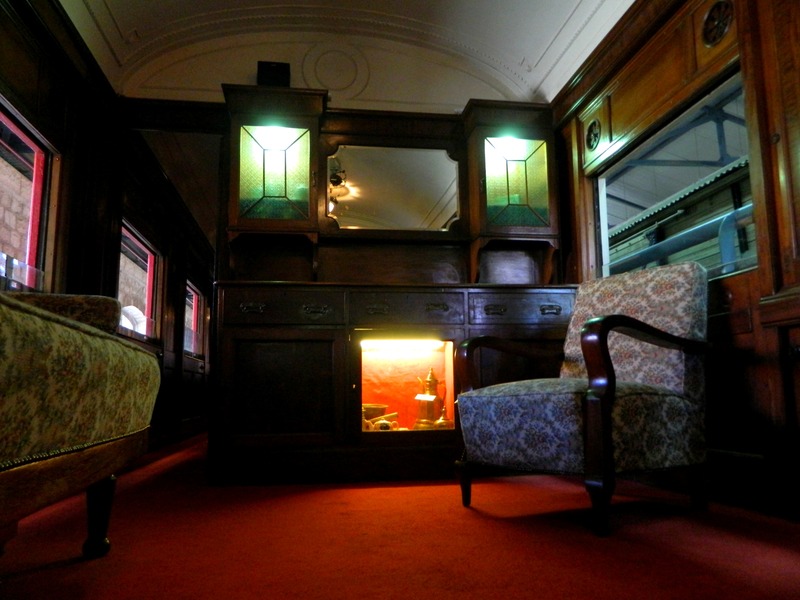 But my favourite train car was the luxurious Saloon coach no. 98 built by Birmingham RC&W Co. of England, used as a day saloon from 1922 till 1929 and then as a night saloon from 1929 till the mid-1960’s. 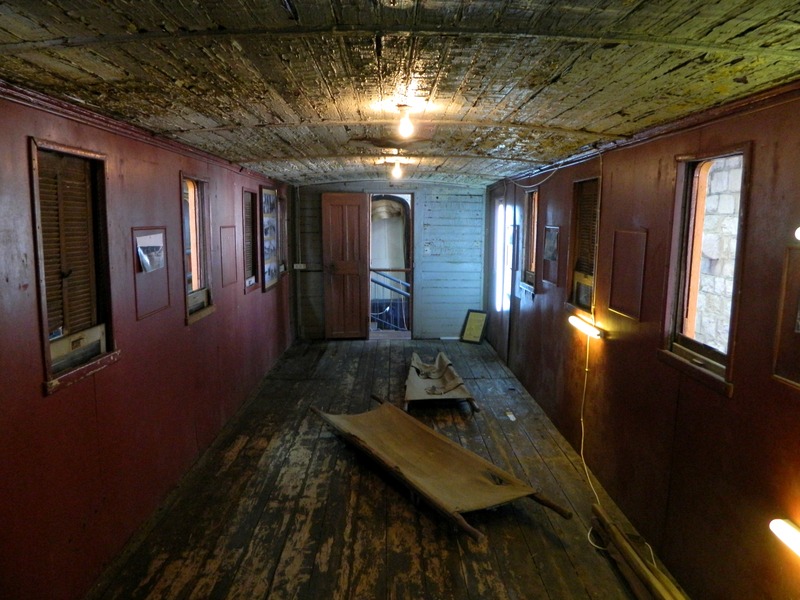 From the moment I entered the narrow wood-paneled corridor, I felt like I was living the classic Poirot murder mystery Murder on the Orient Express, albeit all by my lonesome. 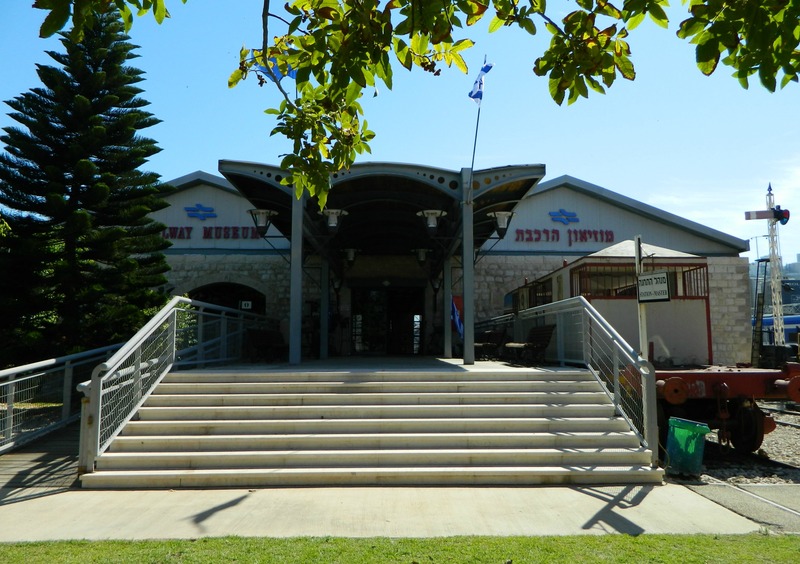 In summary, the Israel Railway Museum is definitely worth the visit, all the more so for children and train enthusiasts. This past Sunday, my father and I drove down to Bet Shemesh and Ashdod for shipping-related work, hoping to have a little fun as well. 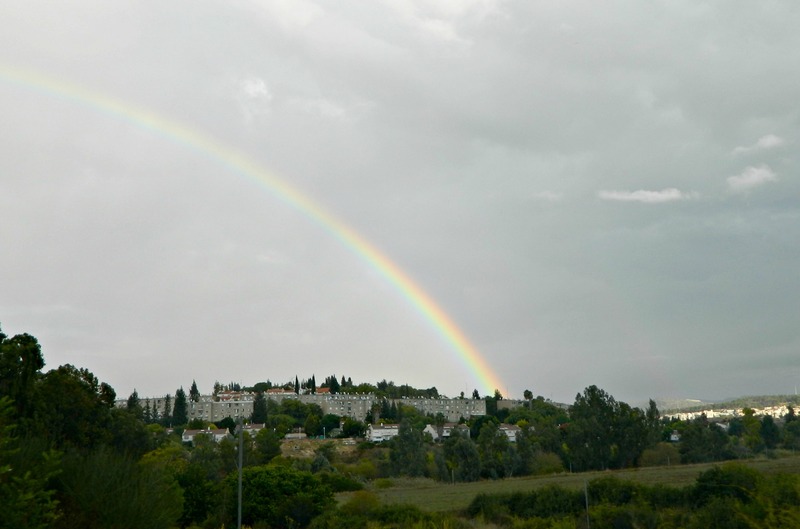 Leaving early in the morning in the rain, we chose the desert route – border-hugging Road 90 from Tzfat down to Jericho and then Road 1 through Jerusalem. Stopping momentarily in Bet Shean we had a large flock of pelicans pass overhead; the bird migrations in full force this time of year. Our first stop was intended to be the mountaintop fortress of Sartaba (Alexandion) just before Road 505’s junction and after a wrong turn into a town, we were directed to a single-lane road that took us winding up the adjacent mountain. There, after parking, we found a desolate army outpost and a trail leading out to a rocky horn that I assumed was Sartaba. 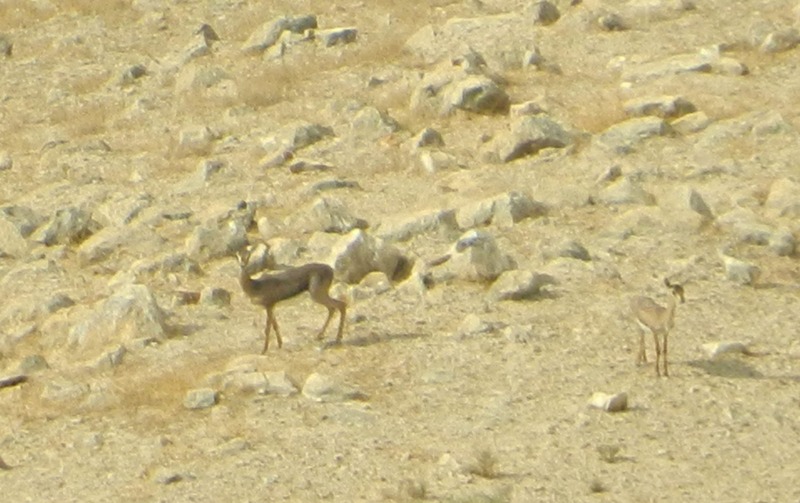 Up on the horn, gazing out at the Jordan River Valley, I activated my phone’s GPS and discovered that the actual site was a few kilometres west from where we were standing. 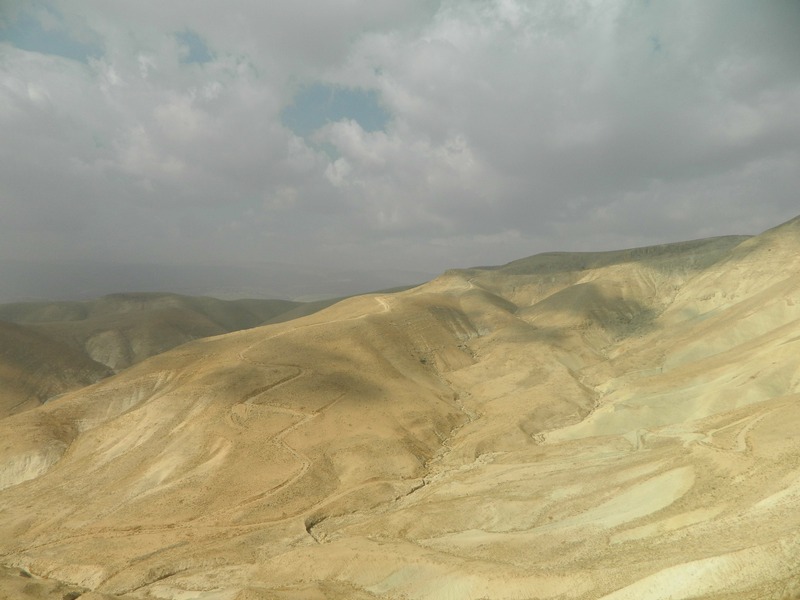 As you can see here, the dirt road snaking up the mountainside leads to Sartaba, looking down from where we were beside the army outpost. Returning to the car, we attempted to drive to the real Sartaba but the road was too precarious and we do not have a 4×4. So, we returned to Road 90 and tried from a different access point. More rugged terrain suitable only for a 4×4. So, in summary, any attempt to reach Sartaba either requires a 4×4 vehicle or a very long hike up and around a mountain. Continuing down Road 90, we stopped next at a site known as Qasr al-Yahud (Arabic for “Castle of the Jews”) which is a spot along the Jordan River famous for several reasons. 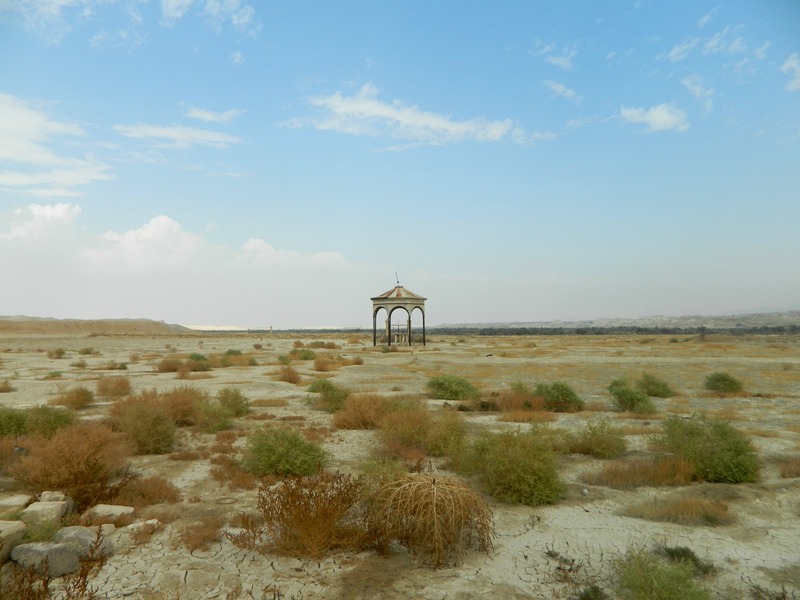 When the Jews crossed the Jordan River entering the Holy Land thousands of years back, as documented by the Bible, they crossed “opposite Jericho” and so tradition has it that this is the very spot where the waters stood in a pillar for the Jews to cross into the Land. 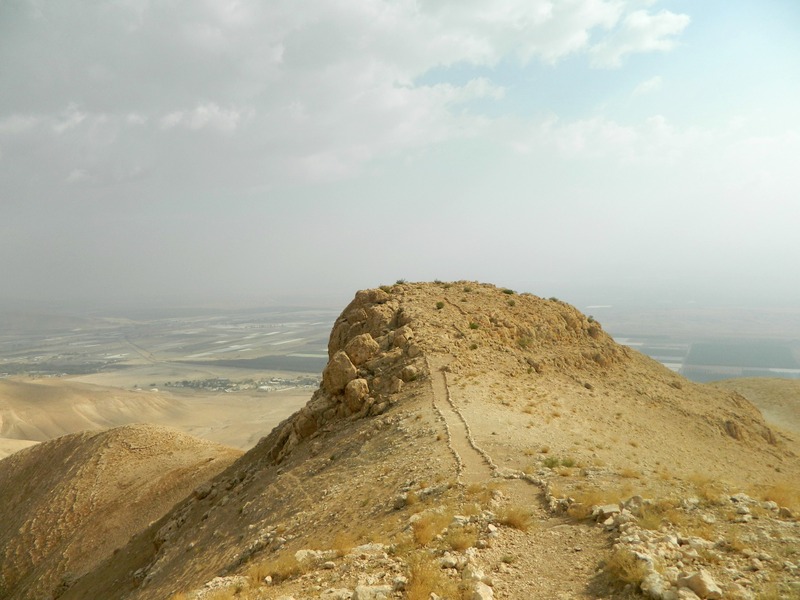 Later, it is believed that this is where Eliyahu (Elijah) the Prophet ascended to the heavens after crossing the Jordan with Elisha. 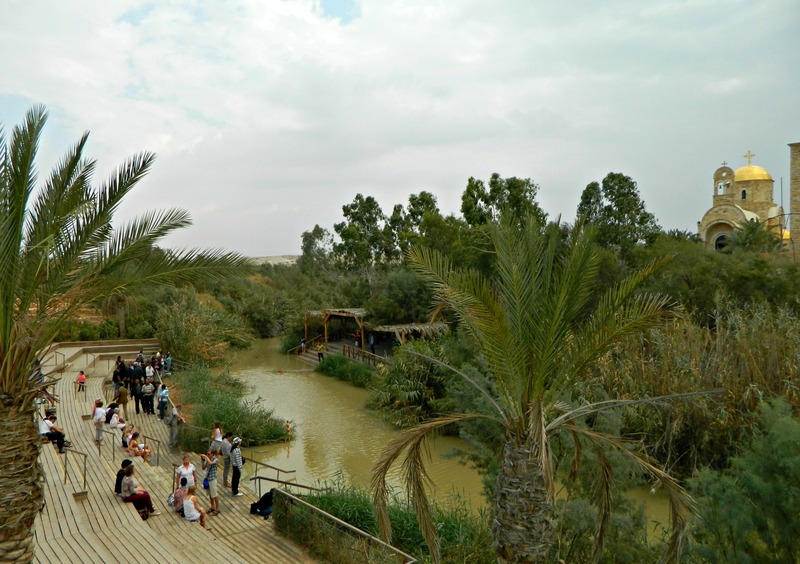 But today’s tourists are mostly Christians who come to Qasr al-Yahud to baptise in the waters of the Jordan, a holy site harkening back to the dawn of Christianity. As far back as the Byzantine era, churches and monasteries were built along the banks, these being the lowest churches in elevation on Earth. 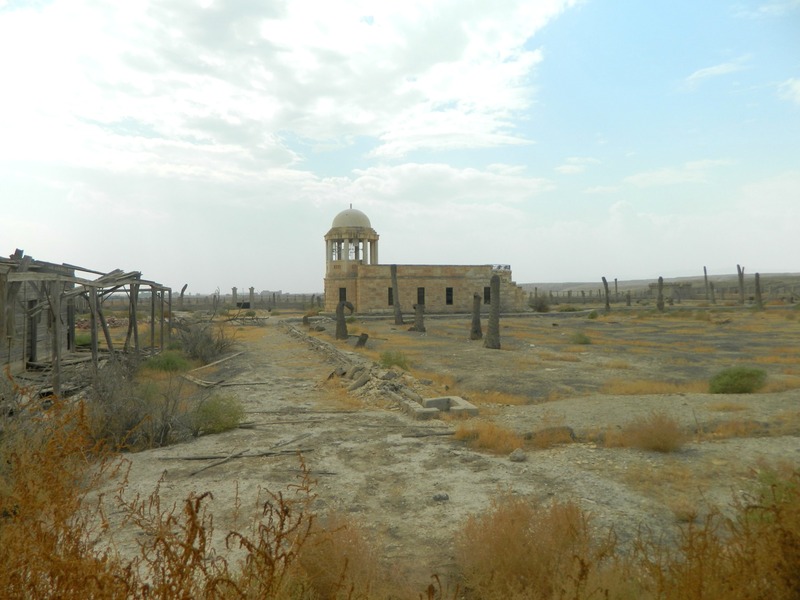 These monasteries often served as safe havens for Christian pilgrims during times of Arab rule. The oldest monastery is St John’s which was rebuilt during the Crusader period on ruins from a Byzantine-era church. During Ottoman rule, when there was easy access for pilgrims, many Christian orders came and built their own monasteries. Earthquakes in 1927 and 1956 severely damaged the monasteries and after the Six Day War in 1967, the area became a closed military zone. 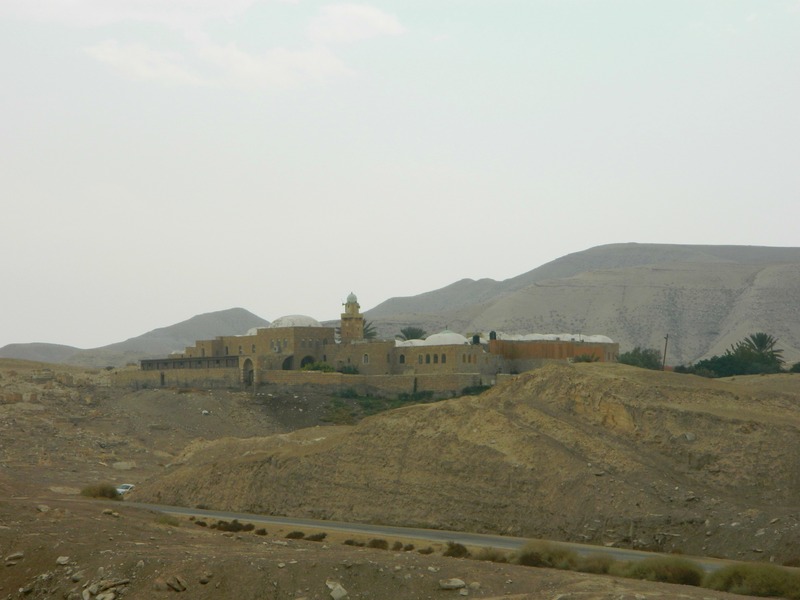 In the following decades, the monasteries became refuges for terrorists crossing the border and so the IDF was forced to set mines around the partially ruined buildings. 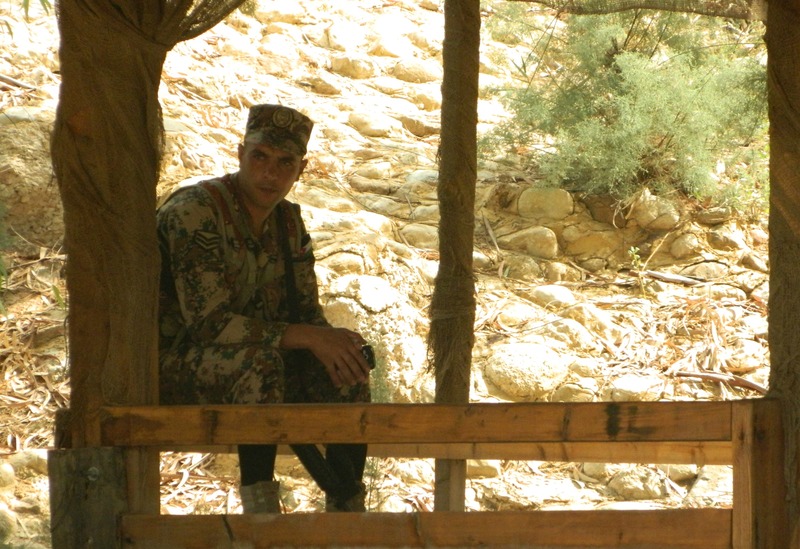 Now, at times of peace with Jordan, the site is open to visitors but several of the monasteries are still minefields and fenced off. 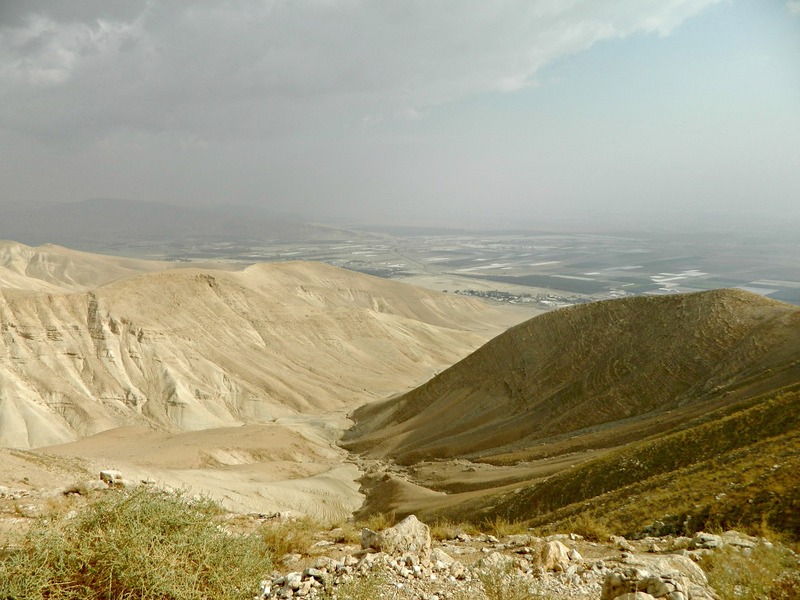 When we visited, there were two Israeli soldiers and one Jordanian soldier guarding the border – a mere thirty feet or so of muddy water, where several pilgrims were in the water in white tunics. 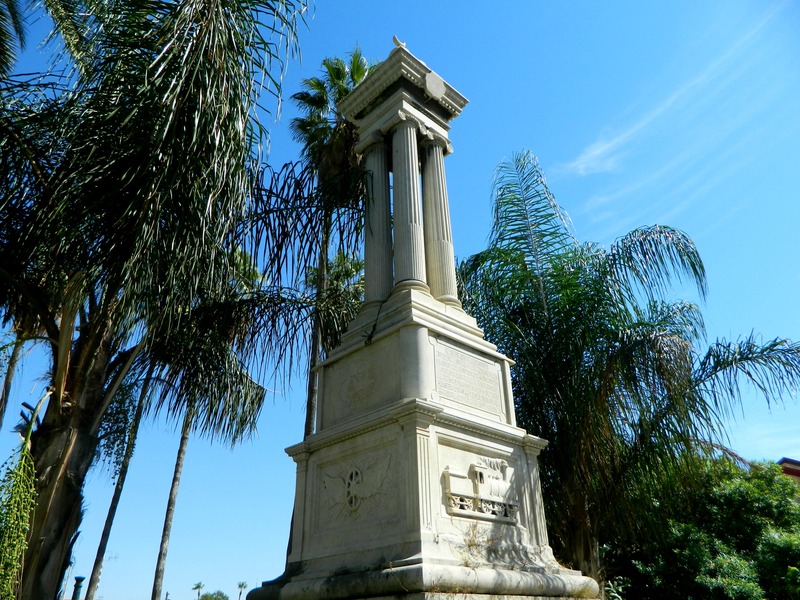 After Qasr al-Yahud we kept driving until we reached the Beit HaArava Junction. There, we turned onto a small road to see the remnants of the original settlement of Beit HaArava (1939-48). At the end of the road we saw a few ruined houses, but they were on the other side of the security fence. We also saw a sign to the first potash plant which was in operations from 1925 till 1948. Getting back to the main road, we turned onto Road 1 to Jerusalem and took a two-minute detour to photograph Nabi Musa, the Muslim shrine and mosque for what they believe is the burial place of Moshe (Moses). After dinner in Ashdod, we took the labourious drive home via Road 6 – Israel’s longest toll-road and arrived home sometime after 9pm.